DPD Chief Neil Dubord (right) receives an award naming Delta Police one of BC’s Top Employers. 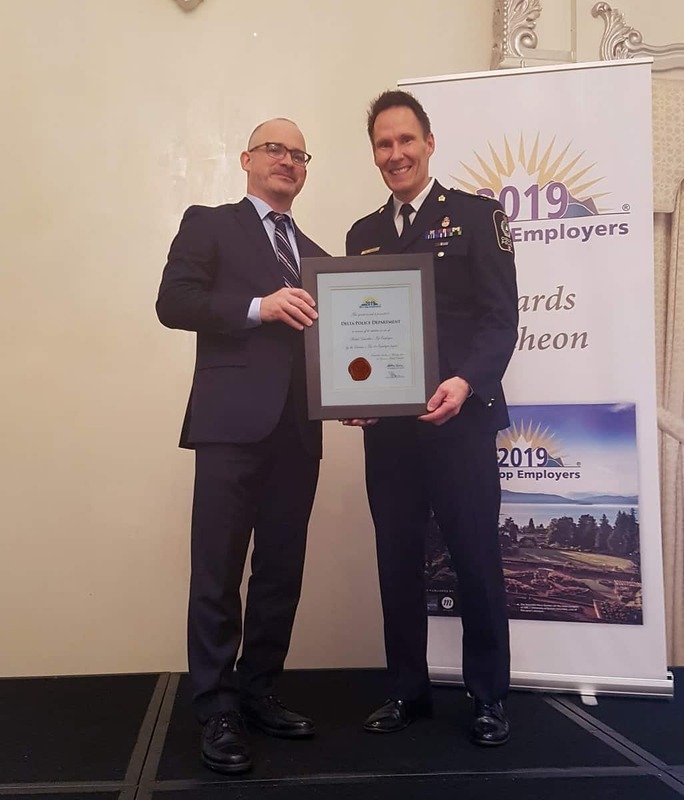 DELTA Police has been named as one of BC’s top employers in 2019, which is noteworthy as BC leads the nation with a strong economy and booming job market, making it challenging to both recruit new staff and retain employees. The BC Top Employer’s project for 2019 was the most competitive on record. Delta Police and other successful employers were evaluated on eight criteria: physical workplace, work atmosphere and social, health, financial and family benefits, vacation and time off, employee communications, performance management, training and skills development and community involvement. “Our workforce, both civilian and sworn, must reflect our community and its values,” said Dubord. “Delta Police is well known for its outreach and No Call Too Small approach. But we’re also known within law enforcement circles for the high calibre of our training and equipment. That’s balanced with benefits that provide for a healthy work and home life balance, to ensure our staff are ready to meet challenges. We recently were called to answer a significant challenge, when one of our off-duty officers stepped in to save a woman and was seriously injured. 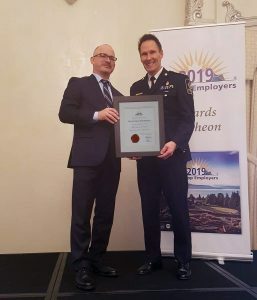 The following link outlines why Delta Police was recognized as one of BC’s Top Employers https://content.eluta.ca/top-employer-delta-police-department.